Personally, I hate golf. It’s slow, and takes forever. But this gadget actually makes me want to play a bit, or at least play with a golf ball. I can leave out the clubs and score keeping part. It’s called RadarGolf. It solves a common problem, people lose their ball and have absolutely no idea where it is. Rather than just getting a new ball and forgetting about the old one, something I’d do, you could use your RadarGolf to find that lost ball. 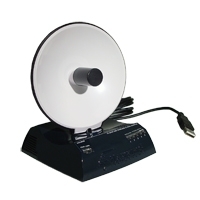 This is another cool gadget that came up in our 24 hour gadget suggestion competition, the light display projector. 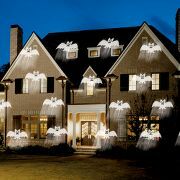 It’s a cool time saving idea for when putting up decorations, instead of hanging various lights just project them onto your house (I might have to let Alek (that crazy Halloween display guy) know about this one). This is a sport I’ve not heard of before, Street Golf. 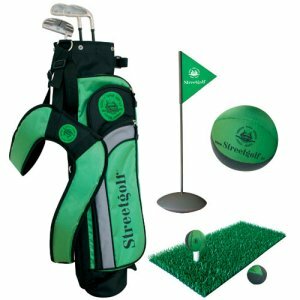 So instead of paying extorinate green fees at your local club you can now play in the street. Being someone that has spent far to much money on those new longer range routers, special antennas, and those range extenders, the Hawking Hi-Gain USB Wireless-G Dish Adapter looks pretty appealing. It looks like a mini satellite dish, and it pretty much is. 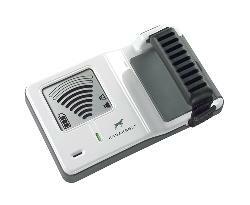 The adapter is equipped with an 8dBi directional antenna; most routers come with a 2dBi antenna. That translates into a range increase of up to 300%, but I expect the actual numbers are a bit lower. 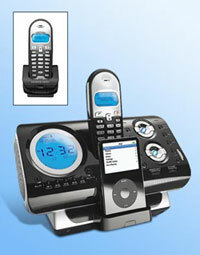 If you’re one busy bee who cannot remain disconnected from the world even during the night, perhaps the Bedside Phone Center is your dream gadget in your bedroom. Looks like the manufacturer of the Bedside Phone Center is a strong believer in the adage, “All work and no play makes Jack a dull boy”, and thus have equipped this device with an iPod dock for your entertainment purposes. Getting down to business (no pun intended), you get an alarm clock, a built-in AM/FM radio, a wireless remote control, a 2.4GHz telephone, and a couple of handsets that have speakerphone functionalities. I didn’t know whether to laugh or cry when I first read about this, a cell phone for your pets, PetsCell™. 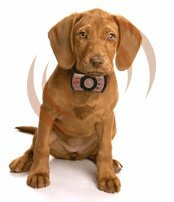 The PetsCell is a fully waterpoof voice enabled mobile phone that you attach to your dogs collar. Your dog then has it’s own number you can call it on, so if he gets lost you can call him up and ask him where he is, woof once for the park or twice for the nearest lampost.